Taglialatella Galleries has been a major force in the global art market, building distinguished collections worldwide for over three decades. 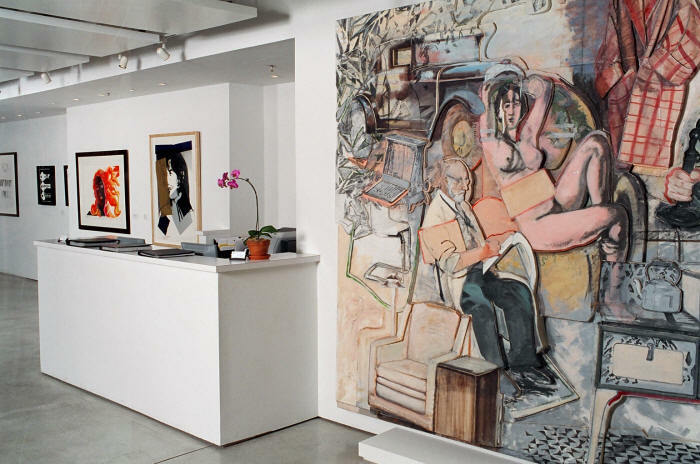 With locations in New York (Chelsea), Palm Beach, and Paris, the gallery is planning to open a fourth location in Rome. Taglialatella exhibits solo and group exhibitions for innumerable secondary and mid-career artists including, but not limited to, Lichtenstein, Warhol, Indiana, Hirst, Christo, Frankenthaler, Appel, the Cobra Group, De Lutti, Calder, Hay, Kats, Picasso, Matisse, Young, Basquiat, Rivers, and Wesselmann. Concentrating on 20th and 21st century Contemporary Masters, with a focus on the Pop Movement, Taglialatella Galleries is one of the most influential dealers of Andy Warhol artworks to date.